Family Bodyboarding - A amazing ocean activity for families of all ages! 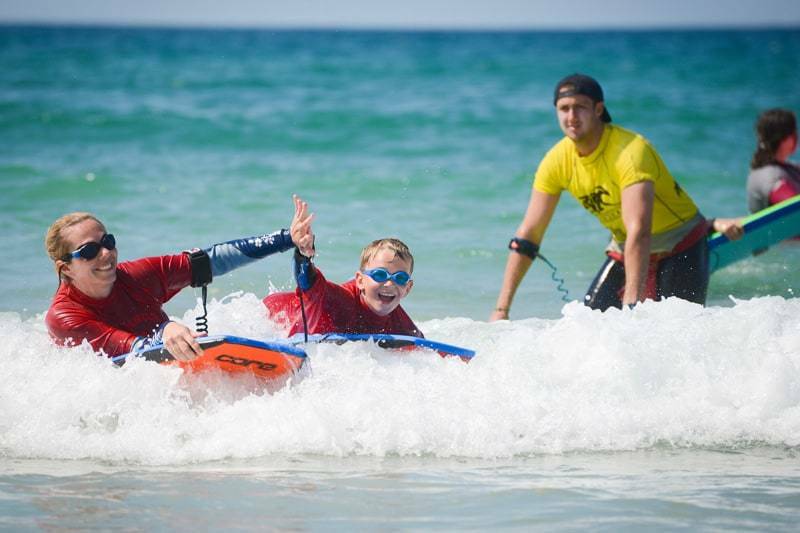 Experience the thrill of bodyboarding on a Cornwall family day out with Newquay Activity Centre! Easier than stand up surfing, bodyboarding offers a quicker route into the adrenaline-packed world of wave riding. Bodyboarding is the exhilarating step-up from your traditional boogie-board specials! Simple to learn and addictive to master, your family will be catching waves in no time and learning an array of wave riding skills under the expert eye of our experienced instructors. Our team of instructors are all Beach Lifeguard and Surfing England surf coach qualified, with years of personal experience in the water. We underpin their qualifications with in-house training by former European #1 and World Tour bodyboarder, Rob Barber, equipping them to provide the best bodyboarding experiences in Cornwall. You are in safe hands. The lesson is pitched at a suitable level to engage each member of the family. We will tailor your bodyboarding lessons to ensure every family member feels rewarded, whatever their ability. You’ll also learn basic lifeguarding skills and vital elements of beach safety!